I actually didn't participate in reading the book for September but I did read it a few years ago. I was like you. I remember really enjoying it but the actual details are a little fuzzy. Probably will be picking it up again soon, but I was wondering if you had read Breaking Night by Liz Murray? I think anyone that enjoyed The Glass Castle would also love Breaking Night. I kind of enjoyed the family's nomadic and "free spirited" lifestyle at the beginning, but throughout the book my eyes started to be opened to what selfish and awful parents they were. It was like I was Jeannette and I kept trying to defend their actions with excuses because I sort of liked their eccentricities at first. I felt like I was there with all the kids, being disappointed and let down time after time by their parents. I deeply felt Jeannette's struggle to continue supporting and loving her father even after he became more and more destructive. But both parents eventually did things I considered unforgivable and I was hoping the kids would get out of it alive. They actually exceeded my expectations when they were able pull together and take care of each other. I thought the ending was very interesting when her college professor asks the class why homeless people are in the situations they're in and Jeannette says, "I think that maybe sometimes people get the lives they want." Then the professor basically tells her she has no idea what she's talking about. I don't think I was a mom when I read this book, but I still remember that my gut reaction was want to adopt them and take care of them. As an oldest child I feel a deep need to save and protect everyone. I can't help but see everything through that lens. I should probably read it again now and see how I feel about it. I much preferred Half Broke Horses. 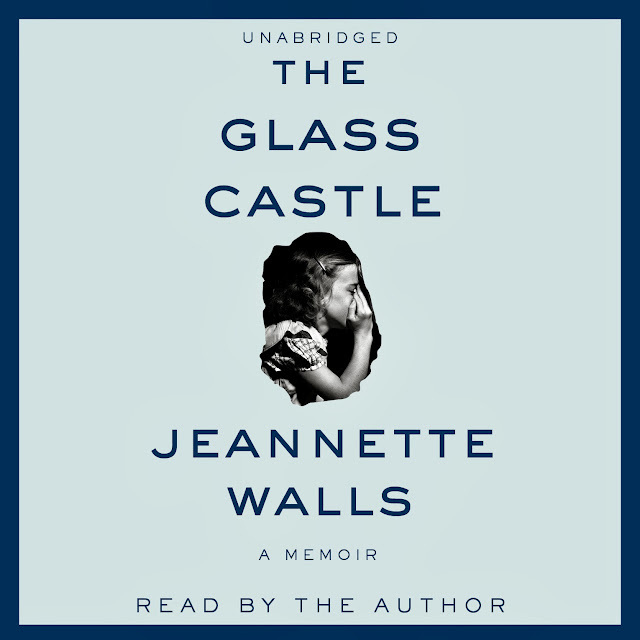 She wrote it after The Glass Castle but it's actually the story of her grandmother. Fabulous book. I like the chocolate bar part, when the kids are starving and yet the mother is getting heavier. Turns out that she was eating chocolate bars even though there wasn't enough food for the kids. It just seemed like such a simple thing that spoke volumes about their mother. I really really loved this book. I got it as a gift and it didn't seem interesting to me, so I waited like a year before reading it. It was phenomenal. The part that stands out to me is the chocolate bar part like Michele said, and if I remember correctly, the Dad taking the money the girls were saving up by making posters. I remember feeling so defeated with them and feeling like I was taking on so many of their heavy burdens. So... I put this book on hold at my library but it hasn't come in yet. SIGH. I will be reading it soon - I promise! I loved this one! I read it years ago and it's one of my favorite memoirs! I connected with this book on an entirely different level than all other books I have read recently. As a child from an abusive home, every descriptive word about the dad shook me and stayed with me. Even still, It was refreshing to read about how she overcame it and still kept a small glimmer of hope and wonder in her spirit after going through all that she did. Wells hit it out of the park with this one. From the first page, I was reading this book with my mouth hanging open. As a parent, I think it was even harder for me to read what these parents were doing to their kids. Sure, they were teaching them self-reliance, but to an extreme that made me uncomfortable and so sad. The parents are so selfish, stealing money from their kids to fuel their own vices. The mother made me particularly angry because of the jewelry and the land that she owned. She could've dug them out of that hole if not for her pride. And she wouldn't just leave that husband of hers, that no-good alcoholic husband who was obviously getting worse as the book went on. Ugh. I was so proud when the kids decided to up and leave. I kept hoping for a miracle from the parents but nothing happened! I wish they had stayed in Phoenix, though. Once they moved to Welch is was just doom and gloom. It was like the desert sun made even their dark moments a bit brighter. I haven't read this book yet, but just last night I was at the public library, and it was on their banned book display which really piqued my interest in this book! I have put it on hold, and I cannot wait to read it! I read the book many years ago and loved it! I absolutely love this book and couldn't put it down either. One of my favorite and more memorable reads. And if you ask me, this one was much better than her other "Half Broke Horses". I have to look into reading her other books. Her family is so interesting. This is one of my favorite books of all time! I may have to re-read it... I'm glad you enjoyed it, too! I wrote this review back in 2011, so I'll just repost it here! Where to start? Mind-boggling, heartbreaking, maddening, unfathomable, yet honest, loving, and empowering. I came away from this book with a different understanding of unconditional love and with far more gratitude and humility than I had when I started. Thank you!! :) I read your blog post on this book and downloaded the sample onto my iPad immediately...and couldn't stop there so I bought the whole thing. SUCH A GREAT BOOK!!! We love to do lots of reading, coloring, and playing outside.My boys and I play games for fun learning.